The Lord’s Resistance Army has been waging a brutal war in Uganda for more than 20 years, with hardly a mention in the media. A new piece of software–based on Salesforce–is now tracking the atrocities. For the past 20 years, one of the world’s strangest and longest-lasting conflicts has been unfolding in Uganda. An ambitious new crisis-mapping project, the LRA Crisis Tracker, is working with African radio stations and non-governmental organizations to shed light on a bloody war that very few Americans know about. The Lord’s Resistance Army (LRA), an ultra-violent radical Christian sect, has been engaged in armed warfare against the Ugandan government. However, it isn’t your typical insurgency: The Lord’s Resistance Army is known for mass kidnappings of children who are then press-ganged into military service. Civilian women captured by the LRA are forced either into sexual enslavement or domestic slavery for army troops; resisters are frequently mutilated in bizarre fashion. Armed warfare between the LRA and the Ugandan government has been occurring, with frequent ceasefires, since 1987. Violence frequently spills over into neighboring countries. But it’s violence that’s often occurring without any reporting. service since 1987; the organization’s demands remain nebulous, however. Barring a brief flirtation with Islam when the Lord’s Resistance Army entered into an alliance with the Sudan, the organization is believed to seek a theocratic state based on the 10 Commandments. Now, users of the LRA Crisis Tracker can see those stats in real time. They have access to a regularly updated map and event database that lets them know of recent village attacks, kidnappings, killings, injuries, lootings, returns to sacked villages, and visits by foreign media throughout the warzone. 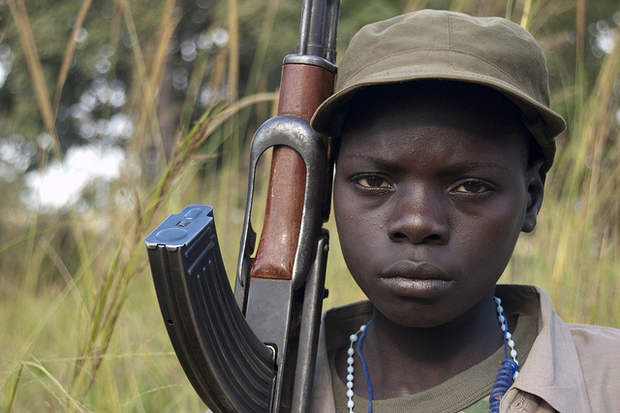 The Crisis Tracker is a joint product created by two NGOs working in the region: Invisible Children, an anti-child soldier charity and Resolve, which were founded with the explicit aim of ending the LRA conflict. The Lord’s Resistance Army conflict has been entering into the public eye somewhat in recent years; the new Gerard Butler film Machine Gun Preacher is based on the war and Oprah Winfrey has engaged in outreach work on behalf of Invisible Children. Resolve and Invisible Children began working on the infrastructure for the crisis map shortly afterwards; the map publicly launched on September 28, 2011. The two organization have also made a mobile app and English- and French-language data bundles are available. The poor communications infrastructure Transier alludes to is a serious challenge for the NGOs and international authorities who are trying to bring calm to regions affected by the LRA. The Lord’s Resistance Army conflict takes place in what those less charitably inclined would describe as Africa’s boondocks; the battlefront is far away from bustling East African urban hubs such as Nairobi and Dar es Salaam and the worst violence takes place in regions with wretched mobile phone and Internet access. In order to work around the communications challenges, the two charities rely on a homegrown radio system to provide news on the conflict. Invisible Children helped expand a community-run early-warning radio network in the Democratic Republic of Congo that collects information from isolated villages affected by the conflict. Once warfront news is received by the radio station, they are then sent via email to Invisible Children’s San Diego offices, where it is stripped of sensitive information, placed onto the organization’s crisis map, and also publicized via social media. into both the mapping system and the app. Firsthand field research from Resolve and Invisible Children and United Nations/NGO field reports are also regularly keyed into the map. According to Resolve, the project has increased the number of LRA attacks reported publicly by over 600%.